Attorney John N. Harp believes that in order for an attorney to be successful he must first understand the challenges faced by his client. Prior to being admitted to the bar, John worked in the insurance industry for twelve years as a multi-jurisdictional, workers' compensation claims adjuster. John now uses his experience in the insurance industry to get his clients the benefits they are entitled to under the law. His in-depth understanding of the workers' compensation insurance process is invaluable in obtaining the maximum settlement for his client. Originally from Portland Oregon, John moved to the Chicago area in 1997. He graduated from DePaul University in 1999 and The John Marshall Law School in 2012. While at John Marshall, John was a founding member of the school's Disability Law Organization and held a leadership position in the organization until graduation. 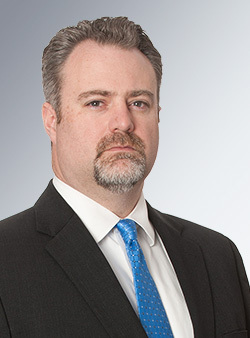 He is a proud member of the Fox Valley Community and is a member of The Kane County Bar Association, The Illinois State Bar Association and The Chicago Bar Association.